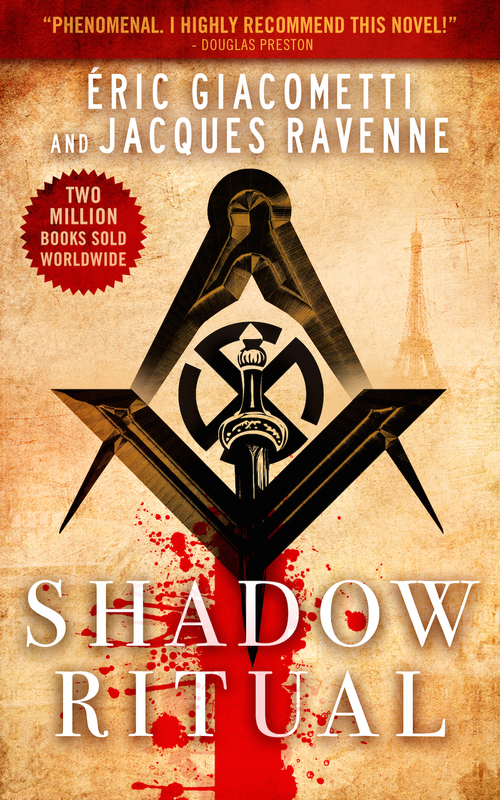 "Shadow Ritual is an exciting thriller with a powerful message." Published in 17 countries—Finally in English. Jacques Ravenne is a literary scholar who has also written a biography of the Marquis de Sade and edited his letters. He loves to explore the hidden side of major historical events. Eric Giacometti was an investigative reporter for a major French newspaper. He has covered a number of high-profile scandals and has done exhaustive research in the area of freemasonry. Find out more about Giacometti & Ravenne. Anne Trager has a passion for crime fiction that equals her love of France. After years working in translation, publishing and communications, she founded Le French Book. by Eric Giacometti & Jacques Ravenne; translated by Anne Trager—published by Le French Book—ISBN: 978-1-939474-29-2 (epub)/ 978-1-939474-30-8 (trade paperback) / 978-1-939474-31-5 (hardback) — First published in French (Rituel de l'ombre, Fleuve Noire, Paris)—Release: March 2015.